I get giddy and excited when I see a mommy/baby bazaar happening! Please do visit the bazaar! 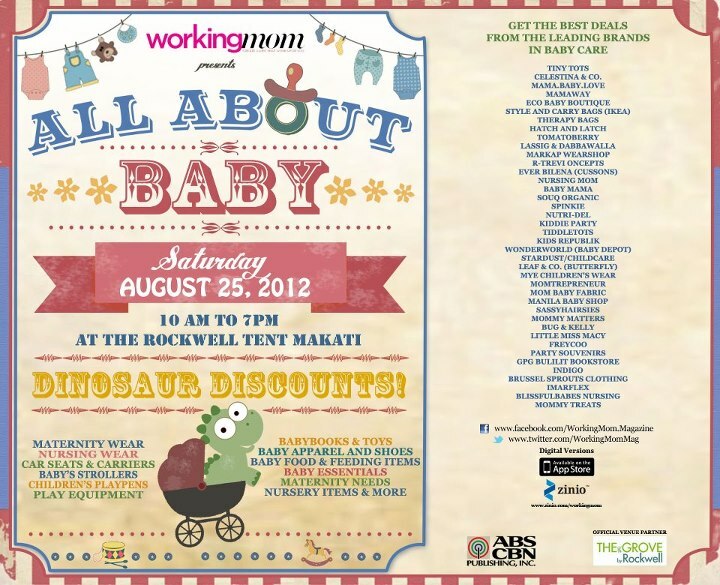 My mommy friends Mama Baby Love, Manila Baby Shop and Mommy Treats will be there! Just present a copy of Working Mom Magazine August or September issue and get 2 adults and 2 kids in for free! I'm hoping I can drop by too after my event! See you there mommies!